14 Years Later. | Really??! 14 Years Later. – Really??! → To my child’s doctor. Don’t know if you remember Lisa Lotocki from my Phi Mu pledge class, but I remember being worried sick about her husband, who is a New York City police officer. I was so relieved when I heard from her the next day that Bobby had not been on duty that morning and they were all safe. It’s been a year since I wrote this, and 15 years since this day. 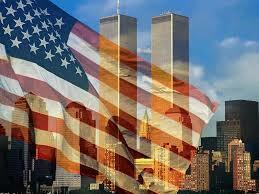 Wishing peace to those who were touched by the events of this day.